9. וַיַּקְהֵל מֹשֶׁה. רַבִּי אַבָּא פָּתַח, (דברים לא) הַקְהֵל אֶת הָעָם הָאֲנָשִׁים וְהַנָּשִׁים וְהַטַּף. מַה לְּהַלָּן כְּלָל שֶׁל כָּל יִשְׂרָאֵל, אַף כָּאן כְּלָל שֶׁל כָּל יִשְׂרָאֵל. וּמִי הֵם? שִׁשִּׁים רִבּוֹא. 10. רַבִּי אֶלְעָזָר פָּתַח אֶת הַפָּסוּק בְּיִשְׂרָאֵל, כְּשֶׁיָּרַד מֹשֶׁה מֵהַר סִינַי, שֶׁכָּתוּב (שמות לב) וַיִּשְׁמַע יְהוֹשֻׁעַ אֶת קוֹל הָעָם בְּרֵעֹה וַיֹּאמֶר אֶל מֹשֶׁה קוֹל מִלְחָמָה בַּמַּחֲנֶה. וַיִּשְׁמַע יְהוֹשֻׁעַ, וְכִי יְהוֹשֻׁעַ שָׁמַע וּמֹשֶׁה לֹא שָׁמַע?! אֶלָּא וַדַּאי, עַד עַכְשָׁו יְהוֹשֻׁעַ לֹא הָיָה יוֹדֵעַ, וּמֹשֶׁה הָיָה יוֹדֵעַ. אִם כָּךְ, מַה זֶּה בְּרֵעֹה? אֶלָּא בְּרֵעֹה כָּתוּב בְּה’, שֶׁאוֹתוֹ קוֹל הָיָה בַּצַּד הָאַחֵר. וִיהוֹשֻׁעַ, שֶׁהָיָה פְּנֵי הַלְּבָנָה, הִתְבּוֹנֵן בְּאוֹתוֹ קוֹל שֶׁהָיָה שֶׁל צַד הָרָעָה, מִיָּד – וַיֹּאמֶר אֶל מֹשֶׁה קוֹל מִלְחָמָה בַּמַּחֲנֶה. 11. בְּאוֹתָהּ שָׁעָה נִשְׁבְּרוּ שְׁנֵי לוּחוֹת הָאֶבֶן שֶׁהָיוּ בָּרִאשׁוֹנָה. וַהֲרֵי בֵּאַרְנוּ, שֶׁהֵם כָּבְדוּ עַל יָדוֹ, וְנָפְלוּ וְנִשְׁבְּרוּ. מָה הַטַּעַם? מִשּׁוּם שֶׁפָּרְחוּ הָאוֹתִיּוֹת מִתּוֹךְ לוּחוֹת הָאֲבָנִים. The sin of the Golden Calf broke the connection of the Israelites to the Sefira of Da’at. The lower world is the aspect of Malchut and the six Sefirot of Zeir Anpin. They represent the process and the outcome. We use the process that is Zeir Anpin to elevate ourselves to the upper world. The upper world is the three Sefirot of Chokmah, Binah and Da’at. Da’at serves like a bridge between the two worlds and allows the flow of the life force from the upper to the lower. With the revelation of the Torah and Moses’ ascend to the Mountain, the bridge that is Da’at was established and intended to be permanent upon receiving the Torah by the people. The sin happened before the Torah was brought down to the people and the bridge shattered to pieces. When Moses assembled the people back to him he connected them back to Da’at through him but it was not the permanent bridge that could’ve brought continuous life force and immortality to the world. Rabbi Shimon wrote the 70 Tikunei Zohar to correct and ‘gather’ all the Israelite souls under the Light. Moses gave a spark of his soul to assist Rabbi Shimon because it is also part of his final correction. Elijah who is Pinchas opened the Tikunei Zohar and helped in the revelation of many secrets because he is the eternal priest of the Israelites and the channel of immortality to the world. The Zohar is the aspect of Da’at that gives us connection to the life force of the upper world. It helps us correct all the sins from Adam and Eve, the Golden Calf, the 10 spies and our personal ones. Only with Zohar study that gives us connection to Rabbi Shimon, Moses and Elijah we can connect to Da’at and maintain flow of light and life force into our lives and the world. 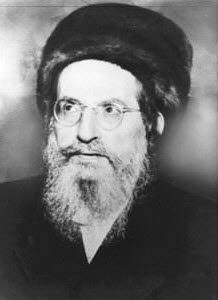 Rabbi Nissim Peretz זצ”ל of blessed memory reveals that Jacob did similar action when he called his children to bless them and tell them their future. The Daily Zohar provides a ‘gathering’ place for all people to connect to the Zohar in unity. We don’t care if you are from this or that kabbalah organization. If you appreciate the Zohar you have the best connection to it in unity. Each one sees the same Zohar text, listens and reads the same study. It is a powerful connection to Da’at when you know that you and many others do the same thing every day. The Study of Tikunei Zohar begins with DailyZohar #1. The Daily Zohar is the only and biggest study of Tikunei Zohar in English with many commentaries translated to Spanish, Portuguese and other languages.